Polyps inclde things like corals and these jellyfish, which are not really jellyfish but are in fact colonies of tiny animals. 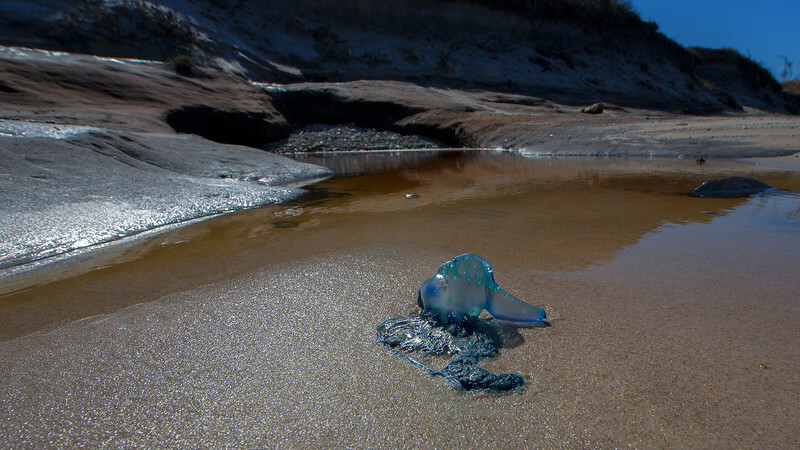 There are two species here, the bluebottle or Man-of-war and the Velella or Sea-raft. They are commonly washed up on the east coast of Australia, where these were found.